Comparing non-governmental organizations (NGOs) in the United Nations and the European Union across a range of different issue areas, this volume examines how the choice of venue and institution affects the strategies of NGOs. 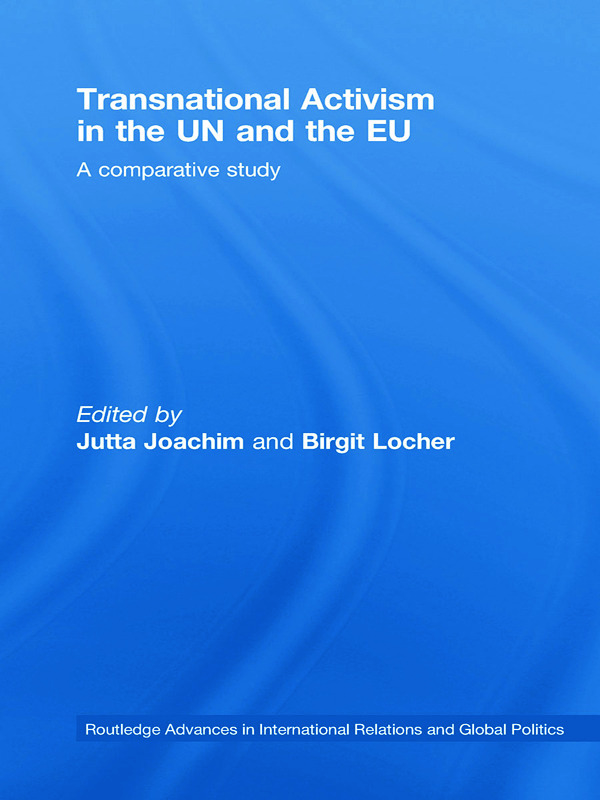 Transnational Activism in the UN and the EU will be of interest to students and scholars of International Relations, European Studies, and Global Politics. Jutta Joachim is Associate Professor of Political Science at the University of Hannover, Germany. Birgit Locher is a Research Fellow at the Institute of Political Science at the University of Tübingen, Germany.